On Saturday, March 9, 2019, at approximately 9:26 am, a vehicle vs bicycle collision occurred on Grant Road at the intersection of Oak Avenue, in the City of Los Altos. Santa Clara County Fire Department personnel, Rural Metro EMS and Los Altos Police responded to the scene. The bicyclist was transported to the hospital for injuries. The involved driver remained at the scene and was cooperative with the investigation. Alcohol and drugs are not a suspected factor in this investigation. On Sunday, March 10, 2019, at approximately 6:00 pm the bicyclist, Stephen Purcell, a 67-year-old male from Mountain View, was declared deceased. 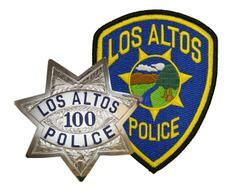 The cause of the collision is under investigation by the Los Altos Police Department Traffic Division. Anyone with information pertaining to this collision is encouraged to contact Sergeant Liz Checke at (650) 947-2659.